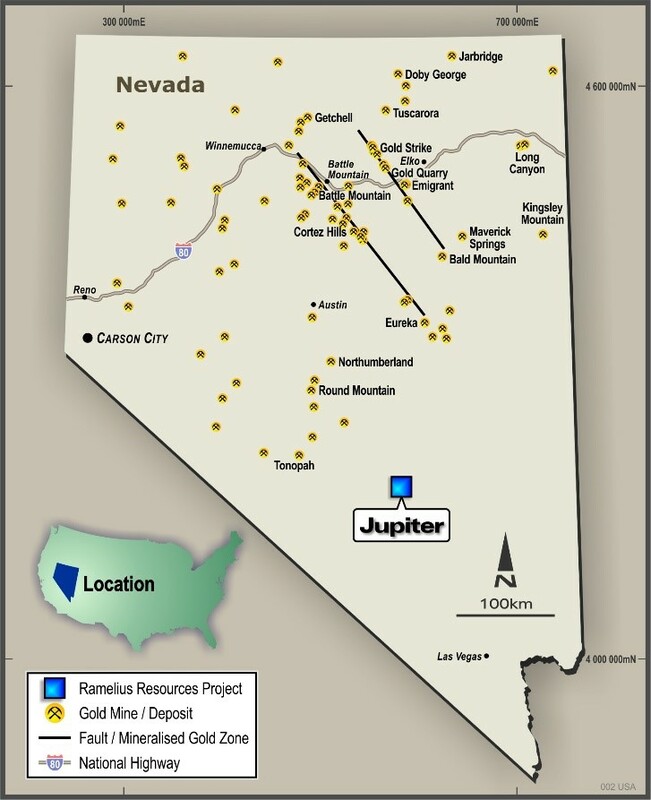 The Jupiter Gold Project is located in Nye County, Nevada USA, some 100km east southeast of the historical gold-silver mining township of Tonopah. Ramelius may earn up to 75% interest in the Jupiter gold project from Renaissance Gold Inc (TSX.V: REN) by spending US$3 million within 5 years. Exploration completed by Ramelius to date has intersected extensive argillic alteration within Tertiary volcanics/volcaniclastics, along with locally up to 10% disseminated pyrite and iron/jasperoidal silica alteration along the unconformity (contact) with the underlying Cambrian limestones. 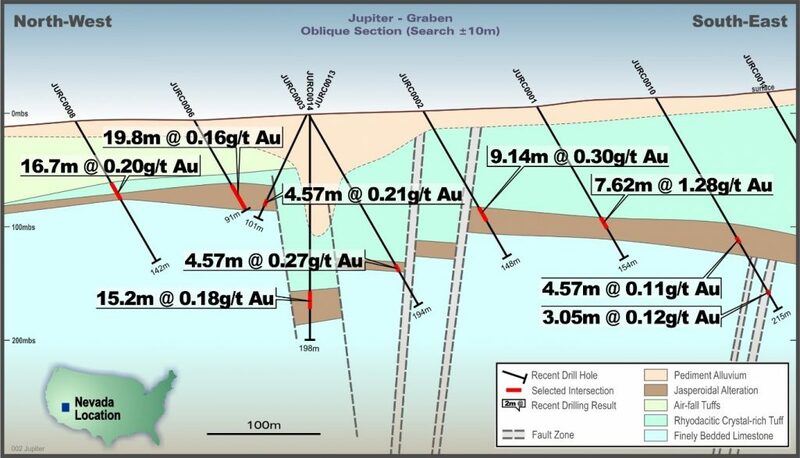 The drilling has returned encouraging anomalous gold intersections within the jasperoidal blanket, up to 7.62m at 1.28 g/t Au from 112.78m in JURC0001.